Carters has a number of awesome deals this week, including $5 Doorbuster deals (as shown above). Plus save 15% off all orders with Coupon Code 15AUG4U at checkout. You can also save 20% off $40 or more with Coupon Code 20CARTU at checkout. 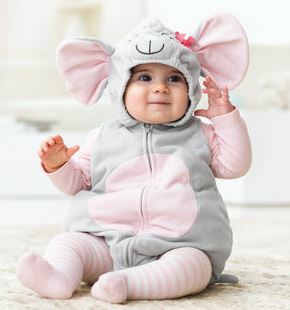 This Fleece LittleMouse Halloween Costume is on sale for $24.00 (reg. $40). 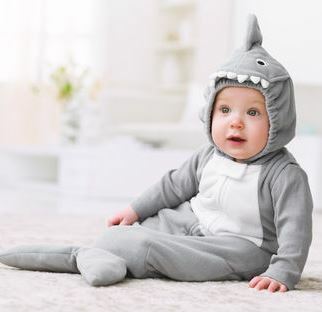 This Fleece Shark Halloween Costume is on sale for $24.00 (reg. $40). Be sure to take advantage of these great deals from Carters today! Remember, shipping is Free when you spend $50 or more.